If anyone has a problem with Bethany Cosentino's success, it's because they can't accept the fact that a girl from California who's obsessed with her cat, smokes a lot of weed, and Twitter flirts with her boyfriend (Wavves) made the best rock album of the year. It's like it was too easy for her. The sound leans on instantly likable '60s surf pop, the lyrics are extremely simple, and most of them are about how she longs for a nameless series of boys. Bobb Bruno gives the song some gut with his bass, and Beth takes it from there, killing it with easy guitar rhythms and choruses that make singing "I wish he was my boyfriend" out loud acceptable (in the comfort of your own home, B). 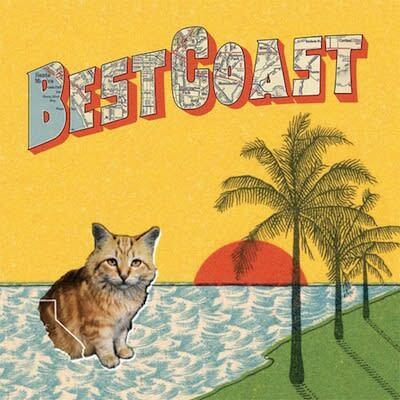 Sometimes you don't want the rookie to win, but in Best Coast's case, there are few records we listened to and liked more this year than Crazy For You.